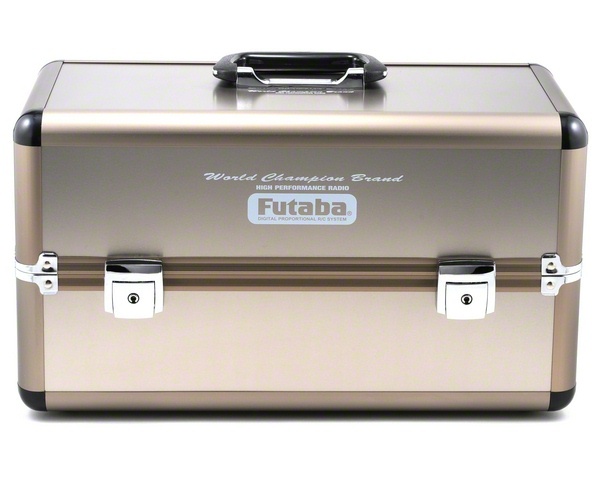 These Metal Transmitter Cases are as stylish as they are functional, with a brushed aluminum “champagne”-colored exterior and a Team Futaba logo. 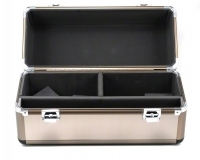 The Double Case is foam padded, with foam inserts that can be positioned to provide maximum cushioning and protection. 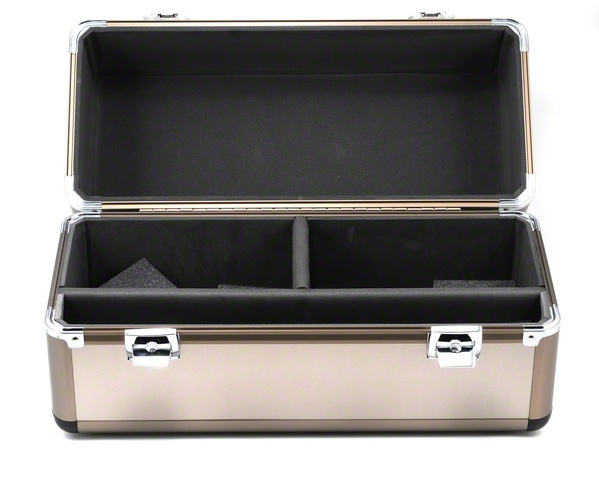 The Single Case features a cushioned lid, plus cutouts for the transmitter, receiver, crystals and other radio accessories. 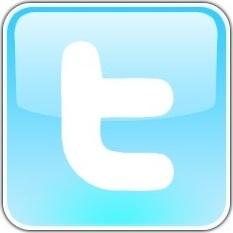 Both cases also have rounded corners and 2 keys for the easy-opening latches on the lid.